A man who stabbed four people to death was a schizophrenic capable of "extreme, unprovoked and unpremeditated violence", the Old Bailey has heard. 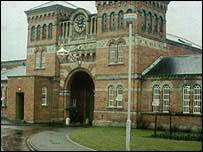 A psychiatric consultant at Broadmoor Hospital, speaking for the defence, said on Wednesday that Daniel Gonzalez once tried to bite himself to death. Mr Gonzalez, 25, from Woking in Surrey, is accused of murdering four people in Sussex and north London. The defence claim he killed because he was told to by voices in his head. Lawyers for Mr Gonzalez argue that he should only be found guilty of manslaughter through diminished responsibility, because his auditory hallucinations led him to stab two men and two women to death. Jean and Derek Robinson, Kevin Molloy and Marie Harding died during his three-day killing spree in September 2004. It was a month later when Mr Gonzalez was first sent for assessment at Broadmoor, in Berkshire. Giving evidence on Wednesday, Dr Edward Petch said: "He was accompanied by an unusually large number of prison officers [and] all were in riot gear which was unusual. "He was immediately placed on constant observation by nursing staff. "A minimum of two were required all the time to be within arms length for 18 months. "That is very, very unusual. Within Broadmoor I have never seen anything like it." Dr Petch described one of three occasions when Mr Gonzalez bit himself. "I have never seen anyone bite himself with that ferocity," he said. "A number of staff described it as a clear attempt to die." Dr Petch added that Mr Gonzalez's overall behaviour showed "a degree of disturbance [which] was without parallel in my experience". There were suspicions his actions could have been the result of drug use and "it took us a long time to conclude there was something else going on", the psychiatric consultant said. Mr Gonzalez denies four counts of murder, but he has admitted the attempted murder of two people who survived being attacked by him in London and Portsmouth.